On the orders of Attorney General Jeff Sessions, Justice Department prosecutors have begun asking FBI agents to explain the evidence they found in a now dormant criminal investigation into a controversial uranium deal that critics have linked to Bill and Hillary Clinton, multiple law enforcement officials told NBC News. The interviews with FBI agents are part of the Justice Department's effort to fulfill a promise an assistant attorney general made to Congress last month to examine whether a special counsel was warranted to look into what has become known as the Uranium One deal, a senior Justice Department official said. At issue is a 2010 transaction in which the Obama Administration allowed the sale of U.S. uranium mining facilities to Russia's state atomic energy company. Hillary Clinton was secretary of state at the time, and the State Department was one of nine agencies that agreed to approve the deal after finding no threat to U.S. national security. A senior law enforcement official who was briefed on the initial FBI investigation told NBC News there were allegations of corruption surrounding the process under which the U.S. government approved the sale. But no charges were filed. As the New York Times reported in April 2015, some of the people associated with the deal contributed millions of dollars to the Clinton Foundation. And Bill Clinton was paid $500,000 for a Moscow speech by a Russian investment bank with links to the transaction. 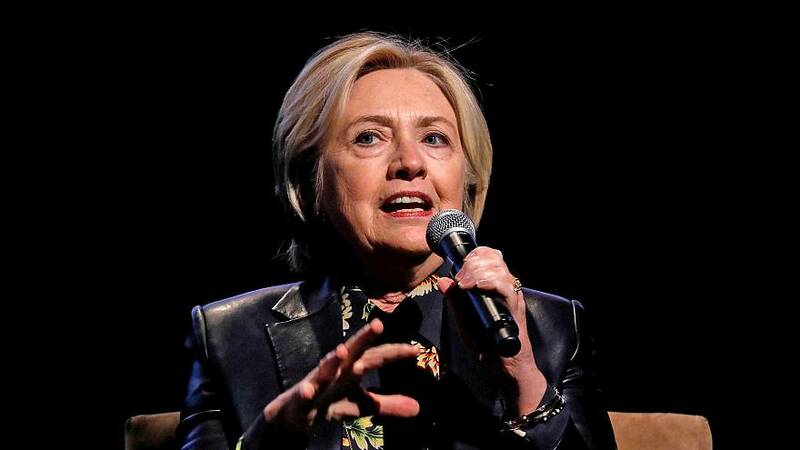 Hillary Clinton has denied playing any role in the decision by the State Department to approve the sale, and the State Department official who approved it has said Clinton did not intervene in the matter. That hasn't stopped some Republicans, including President Trump, from calling the arrangement corrupt — and urging that Clinton be investigated. In a letter to Rep. Bob Goodlatte, R-Va., chairman of the House Judiciary Committee, Assistant Attorney General for Legislative Affairs Stephen Boyd said Justice Department lawyers would make recommendations to Sessions about whether an investigation should be opened or expanded, or whether a special counsel should be appointed to probe a number of issues of concern to Republicans. In recent weeks, FBI agents who investigated the case have been asked by Justice Department prosecutors to describe the results of their probe. The agents also have been asked if there was any improper effort to squash a prosecution, the law enforcement sources say. The senior Justice Department official said the questions were part of an effort by the Sessions team to get up to speed on the controversial case, in the face of allegations from Congressional Republicans that it was mishandled. An FBI spokesman declined to comment. On June 8, 2010, Uranium One announced it had signed an agreement to sell a majority stake to the mining arm of Rosatom, the Russian nuclear energy agency. Because enriched uranium is a component of nuclear weapons, the deal required a national security review by the Committee on Foreign Investments in the United States. As the Russians gradually assumed control of Uranium One in three separate transactions from 2009 to 2013, The New York Times reported, Uranium One's Canadian chairman, Ian Telfer, used his family foundation to make four donations totaling $2.35 million to the Clinton Foundation. Those contributions were not publicly disclosed by the foundation, the Times reported, despite a promise to publicly identify all donors. The foundation later said it made a mistake. Others associated with Uranium One also donated to the Clinton Foundation, according to the Times. Sen John Barrasso, a Republican from Wyoming, raised objections to the sale, saying it would "give the Russian government control over a sizable portion of America's uranium production capacity." The U.S. ambassador to Kazakhstan also raised concerns in cables to Clinton's State Department that Rosatom was acting on behalf of Russia's military intelligence agency, the GRU, to gobble up uranium mines after Russia felt "squeezed" by having their uranium imports limited by other countries. Nonetheless, the Committee on Foreign Investment in the United States, known as CFIUS, approved the deal by a unanimous vote, according to public reports. Clinton was just one member of the nine member CFIUS by virtue of her role as Secretary of State. The other eight members of CFIUS came from Treasury, Homeland Security, Commerce, Defense, Energy, the Office of the U.S. Trade Representative, the Office of Science & Technology, and the Justice Department. Defenders of the deal point out that the Russians don't have a license to export the uranium out of the U.S., and that the Nuclear Regulatory Commission found no risk to national security. Clinton has said she was not involved in the deliberations and played no role in the decision. Jose Fernandez, a former assistant secretary of state, told the Times that he represented the department on the committee, and that "Mrs. Clinton never intervened with me on any C.F.I.U.S. matter." He did not respond to a request for comment by NBC News. A spokesman for Hillary Clinton did not answer whether she was ever briefed on the Uranium One deal. "At every turn this storyline has been debunked on the merits," said the spokesman, Nick Merrill. "This latest iteration is simply more of the right doing Trump's bidding for him to distract from his own Russia problems, which are real and a grave threat to our national security." Stewart Baker, a former top lawyer in the George W. Bush administration and an expert in the CFIUS process, said he doubted that the Uranium One decision ever reached Clinton's desk. About the donations, he said, "Is it possible that the Russians thought they needed to do this and that it would help them? Yeah, but that doesn't mean that it actually did." Baker said it was disquieting that the Sessions Justice Department was re-examining a case that career officials already concluded warranted no charges. "You'd like to think that that wouldn't happen often in a mature democracy," he said. However, he pointed out that Eric Holder, President Obama's attorney general, ordered a new investigation into brutal CIA interrogations after career prosecutors had looked but filed no charges in the Bush administration. In the end, Holder's department didn't file charges, either. Uranium One became a much bigger player in the uranium market after it absorbed a company run and co-owned by Frank Giustra, a Canadian businessman and Bill Clinton associate, in February 2007. Giustra was the chairman of UrAsia, a company bidding for uranium rights in Kazakhstan. In 2005, after he had begun negotiating for the rights, he and Bill Clinton traveled to Kazakhstan on separate planes and attended a dinner with the country's president. UrAsia had soon closed deals for uranium mining rights in Kazakhstan. In 2006, Giustra donated $31.3 million to the Clinton Foundation. The value of UrAsia shares increased seventyfold between 2005 and 2007. Uranium One merged with UrAsia in 2007, after which, says Giustra, he sold his shares and left the company — three years before the controversial sale of U.S. uranium mining facilities. Giustra has donated more than $100 million to the Clinton Foundation and currently sits on the foundation's board. In a statement, Giustra said that he had been working on the purchase of mining stakes from a private Kazakh company in early 2005, and the purchase was concluded in late 2005. "In late 2005, I went to Kazakhstan to finish the negotiations of the sale," said Giustra. "Bill Clinton flew to Almaty a few days after I arrived in the country on another person's plane … Bill Clinton had nothing to do with the purchase of private mining stakes by a Canadian company."